Hardworking and focused, Angeline has never allowed herself to be weighed down by circumstances. She has always been top of her class in her primary education but her poor parents do not see education as an immediate need, the immediate needs include how to put food on the table for that day and how to provide shelter for her and her siblings. She did her Secondary entry examinations and passed very well making her eligible for agood secondary education but she could only have that as a far away dream. With no help, she ended up in a nearby day school, which means she has to be back home every evening to the same routine of fetching firewood, fetching water, going to the farm, all chores that leave her exhausted and take up all the time that students in better schools use to revise for various subjects and also for group work. Their small house depicted in the picture, has no water or electricity. 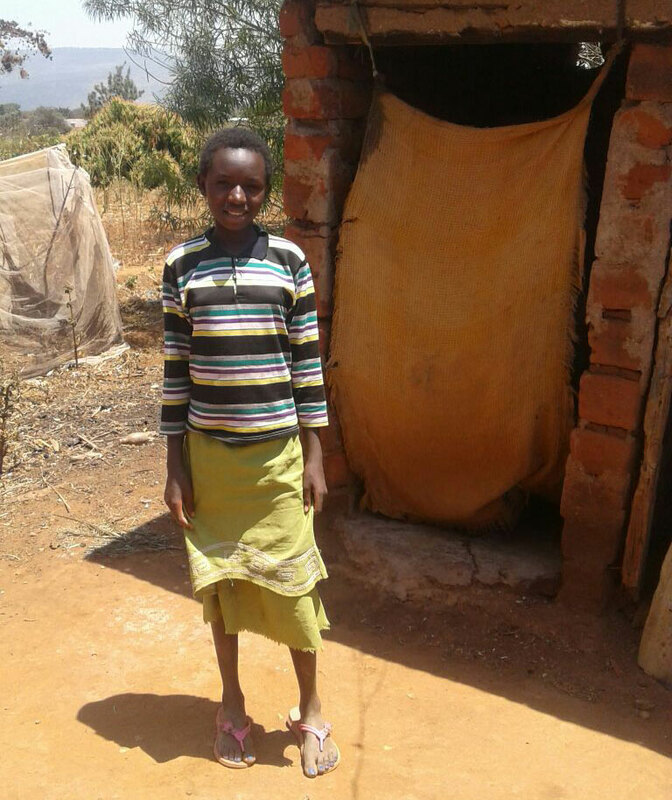 Although, Angelina is very smart, her grades have dropped significantly because she gets home from school during the day, finishes her house chores, but then is unable to study since she has no electricity to do so. This has the left the bright Angeline with little hope of a better tomorrow, which she had anticipated by working so hard in her primary school. After our interview with Angelina, we believe the best hope for her is to join one of our partnering Secondary Schools where she can fully immerse herself into her education and make the most out of the opportunity. Our hope is to find her a sponsor so we can take her back to 9th grade and have her join Mary Leaky Girls School, where we already have 17 girls, starting in January. She is smart and focused and she totally understands that it is only through education that doors will open up for her. If supported she has a chance of making her life and that of her poor family better.